Euler Hermes – motto "our knowledge serving your success" – is widely regarded as the world’s leading provider of trade-related credit insurance solutions, particularly whole turnover policies. Backed by Allianz, the Group has offices in over 50 countries, through which it services a client portfolio numbering in excess of 52,000. In 2014 it covered business transactions worth some €860 billion. Atradius provides trade credit insurance, bonding and collections services worldwide, and has a presence in 50 countries. Total income is in excess of EUR 1.5 billion and it holds a market share of approximately 31% of the global trade credit insurance market. With 160 offices, Atradius has access to credit information on 52 million companies worldwide and makes more than 22,000 trade credit decisions daily. Atradius N.V. is a private company wholly owned by Grupo Catalana Occidente (35.77% shareholding) and Grupo Compañía Espanõla de Crédito y Caución (64.23%). Coface specializes in trade credit insurance (domestic and export), including whole turnover, single risk and political risk protection. It also offers debt collection services, buyer, market and country information. In 2014 Coface was launched on the Paris Euro next Market. The business is 58.50% publicly owned with Natixis holding 41.24% and Coface employees 0.26%. The Group numbers over 4,000 employees located in 66 countries, and insures sales made by over 37,000 clients worldwide. TM HCC International Insurance Company PLC is a leading specialty insurer underwriting from offices in the UK, Spain and Ireland. TM HCC has successfully developed a portfolio of niche products ranging from International Trade Credit, Political Risk, Professional Indemnity, Energy, Marine Hull, Bonds and Surety, through to Film Production and Event Cancellation. On October 27th 2015, HCC completed a merger with Tokio Marine (marine, engineering, life insurance specialists), cementing the company’s position as a truly world-class global insurer. Formed in 2000, Credit Indemnity & Financial Services (CIFS) has quickly established itself one of the UK’s leading on-line underwriting agencies, with a growing share in UK trade credit insurance market. All CIFS policies are underwritten at Lloyd's, which has, currently, central assets of more than £2.5 billion. CIFS was voted Credit Insurer of the Year in 2015. QBE European Operations is a division of QBE Insurance Group, one of the world’s leading international insurers and reinsurers. QBE employs around 17,000 employees, has operations in 38 countries and provides insurance to policyholders in more than 140 countries. The company has been active in the UK credit insurance market since 2001, offering whole turnover insurance as well as Single Account, Agreed Account, Major Account, Top Account, Excess of Loss (catastrophe) and Top-up policies. The surety department writes bonds and guarantees for UK domiciled companies for periods up to 5 years. Based in Brussels but with offices across Europe, Trade Credit Re is a member of the Credendo Group, the Belgian Export Credit Agency. It specialises in Top-up and Excess of Loss credit insurance policies for companies that wish to protect themselves against exceptional B2B risks, which could endanger their financial security. Credimundi is 100% owned by Credendo Group. The company offers whole turnover credit insurance policies to cover commercial and, where applicable, political risk. It specialises in cover for emerging or difficult markets and offers a flexible policy structure which can be tailored to the needs of the client. The company offers a comprehensive range of policy types which include Whole Turnover, Key Account, Excess of Loss, Top-up and Captive. 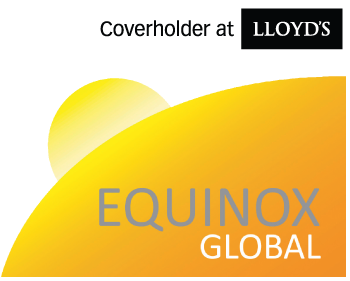 Depending on the individual circumstances of the policyholder, Equinox can also offer non-cancellable credit limits and, under its Trigger Policy, cover that is only withdrawn subject to certain events. 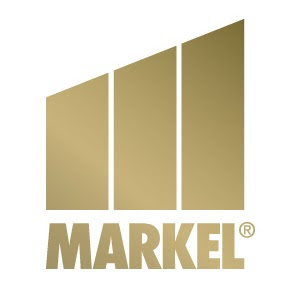 Markel International is a subsidiary of Markel Corporation, a US-based holding company for insurance and investment operations around the world, that trades on the New York Stock Exchange (NYSE: MKL). In 2014 Markel Corporation wrote gross premiums of $4.8 billion and Markel International approx. $1.2 billion. Markel International operates through ten divisions and with offices in 17 countries, it underwrites insurance and reinsurance risks through Syndicate 3000 at Lloyd’s, Markel International Insurance Company Limited (MIICL) and Markel Resseguradora do Brasil S.A. The Trade Credit Insurance division targets medium to large companies with existing, well-established and effective credit management procedures. 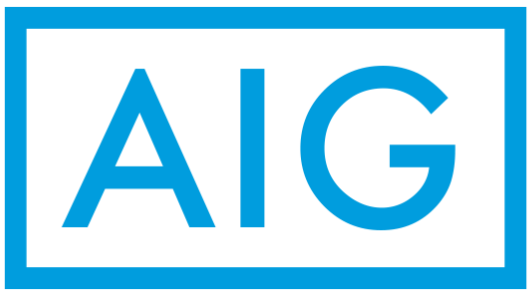 AIG Europe Ltd is part of American International Group, Inc. (AIG), a leading international insurance organisation serving customers in more than 100 countries and jurisdictions. The company offers a choice of credit insurance solutions mainly geared for larger companies and multi-nationals with mature credit management capabilities. Options include cover for Whole Turnover, Accounts Receivables, and Excess of Loss. Its AIG Trade+ policy is an innovative product which combines non-cancellable limits with ground up cover. Zurich offers trade credit solutions for banks, manufacturers, exporters, trading companies, and other creditors, helping to protect their businesses from indebtedness caused by insolvency, protracted default and political risk. Zurich operate from 14 credit and political risk underwriting offices around the world, deploying their extensive experience and expertise in writing cover in both traditional and emerging markets. A special feature of their portfolio is the ability to offer terms of up to 7 years (depending on qualifying criteria) against private sector debtors.